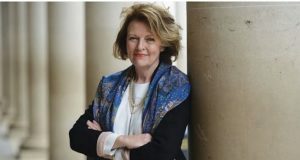 Mary Myatt is a Non-executive Director on LKMco’s board. She is an education adviser, writer, speaker and keen walker. She trained as an RE teacher and taught English, history, maths and Latin in Ipswich. She entered the education sector after a career in PR and a five years founding and running an ice-cream business. A former local authority adviser and inspector, she works in schools talking to pupils, teachers and leaders about learning, leadership and the curriculum. She maintains that there are no quick fixes and that great outcomes for pupils are not achieved through tick boxes. Mary has written extensively about leadership, school improvement and the curriculum. Her book “High Challenge Low Threat” has been described as “a cult must-have for education professionals”.